I’ve done it before and I’ll do it again. The other day, after no small amount of anticipation and deliberation, I cut off my womanhood. Thankfully, while the cutting off of one’s manhood likely conjures images of a gruesome and likely incredibly painful procedure, the cutting off of one’s womanhood is far more enjoyable, often accompanied by lovely fragrances, pleasant conversation and even a shoulder massage if you’re lucky. Because for women, the symbol of our womanhood is not so much a bodily organ as it is our hair. So what happens if, as women have become more and more liable to do, we cut off that precious symbol? What do we become? For years, centuries and probably even millennia, long hair has been a desirable and prized symbol of a woman’s beauty, fertility and femininity, and short-haired women have been eyed with suspicion or disdain. Just try Googling “women with short hair” or “women with long hair” and you’ll see there’s still a lot of people with very strong perspectives on the issue. Good thing there’s lots of awesome guys out there willing to overlook this apparent predisposition for the sake of their love interests’ other redeemable qualities (thankfully, my husband is one of them). Ironic, though, isn’t it? While a less-than-charitable stereotype of men today says they only care about one thing – that is, the biological equivalent of what they perceive to be their “manhood” – the hair issue shows that they care about at least a bit more. I remember clearly the time my aunt threatened to chop her almost hip-length hair, to teach my uncle a lesson. We were on a camping trip, and while I don’t remember what he had done or why she was angry, I do remember his reaction vividly. He scoffed arrogantly, saying she’d never do it, that he didn’t care, trying unconvincingly to call her bluff. So we retreated – my aunt, female cousin and I – into her trailer, and did the unthinkable. We tricked him. Armed with a pile of bobby pins, a can of hairspray and a pretty hat, we gave her a rather convincing “haircut.” The look of horror on his face when we presented her to him easily betrayed his true feelings, and gave my aunt the satisfaction of revenge without actually having to do anything drastic. Over a decade has passed since that camping trip, and although the general male preference for ladies with long hair may not have changed, a lot else has. The fashion industry, often criticized for promoting unrealistic ideals of what women should be, in some ways has led the charge by putting short-haired female models on the runway and on magazine covers. A friend of mine, Janice Alida, is a rising star in the fashion world who has modelled for everyone from Marc Jacobs to Vogue. Early in her career she shocked a lot of people by chopping her beautiful, long blonde hair in favour of a pixie-short, so-called “boyish” look. And according to some fashion industry pundits (Janice Alida: From Nada to Prada), this bold decision likely had a lot to do with her rise in the industry. 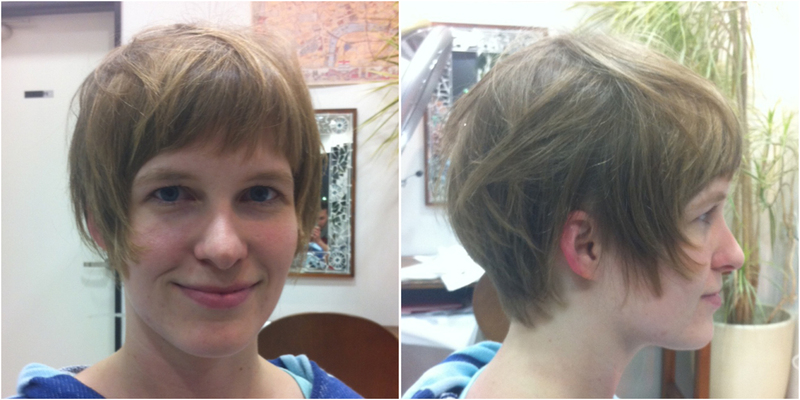 The general idea to cut my hair shorter was my idea, but my agency then presented the bleached pixie cut style to me. I took a few days to let it sit, and in the end, I didn’t really feel scared by the idea, so I decided to go for it without thinking much about what I’d be losing. (Keep in mind that I also did it for my job, to see if it would bring me into a new direction in my career, so I had some extra motivation for the big jump rather than strictly my appearance). During the cut itself I didn’t feel too nervous, but I was just really anxious to see how it would look on me because I’ve never had short hair before. I think people thought the chop was a bit gutsy, because I’d had long, natural blonde hair my entire life. There was definitely no lack of support, though. Looking back, I’m really pleased that I chopped it all off because it’s created a freedom in changing my hair that I didn’t have before. I really respect people who enjoy taking risks with their hair. The changes are a lot of fun and I enjoy going through each phase of growth, and I’m open to almost anything in the future that my job might bring or that I might feel like doing personally. The evolution of Janice Alida’s hairstyles. I can definitely relate to her experience – minus the famous model bit. * The first time I cut my hair short was in high school, for a drama production I was a part of. It was my idea but the director agreed and even encouraged it, as it helped to accentuate my character in the play. 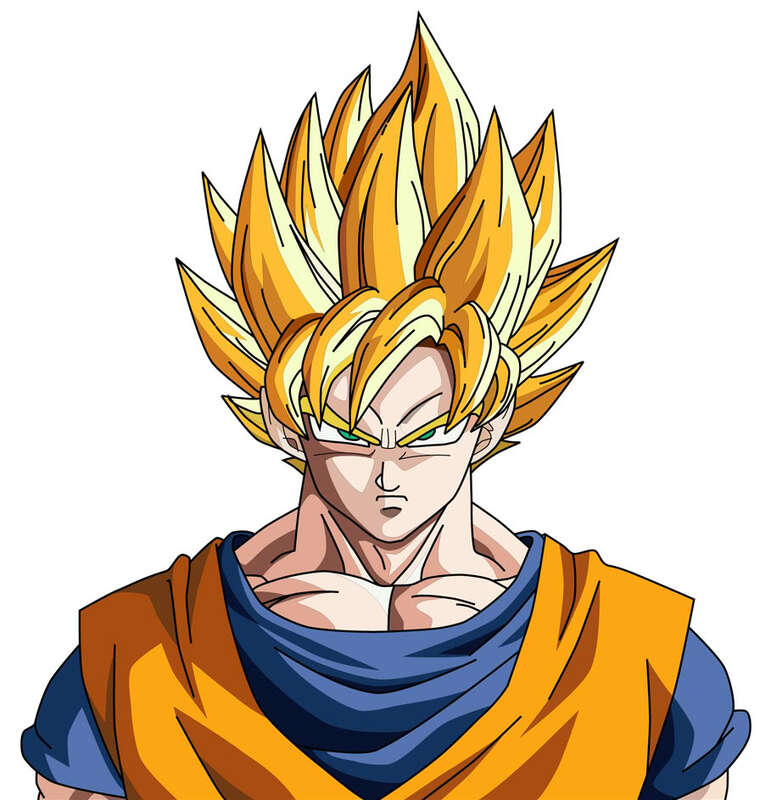 And so my hair went from long, straight and blonde, to short, spiky and pretty much Goku. (*Admittedly I did get in the local paper, so I suppose I was a little tiny bit famous for at least a day). I had no idea who Goku was at the time, even though lots of people said I had his hair. Actually… it was pretty close! Cutting my hair short coincided with a lot of other positive changes in my life at the time. I went from being a shy, overly self conscious girl afraid of the world to a confident, adventurous one ready to give the world my best. It wasn’t an immediate internal change that happened in the stylist’s chair, but the haircut definitely had something to do with it. Going short was a very freeing experience the first time, and has been every time since. Men are more than their man parts and women are more than their hair: so, so much more. I can’t speak for all women because I am only one, but cutting off my so-called womanhood didn’t cause me to become less of a woman, if anything it enabled me to become more… me. Janelle Weibelzahl, May 2014 edition. Have you ever made a drastic change in your appearance, hair or otherwise? How did others react, and how did you feel? Are you considering any gutsy changes at the moment? We live in a world where our very opinions are governed by trends and peer pressure. 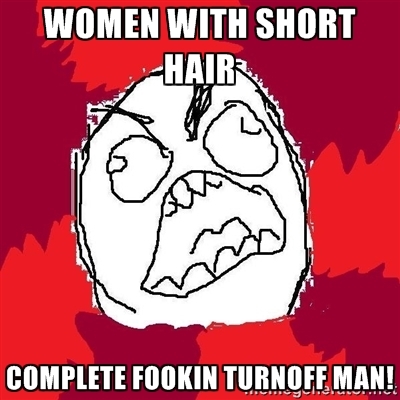 Including the above mentioned hair argument. If I were to say “Short hair sure is hot on a lady” thousands of angry, pitchfork wielding villagers would descend upon me for straying from what they all accept to be a social and societally accepted opinion. Moral of the story? Never be afraid to do what you wish to do, because, the odds are that somebody else is already doing it somewhere! 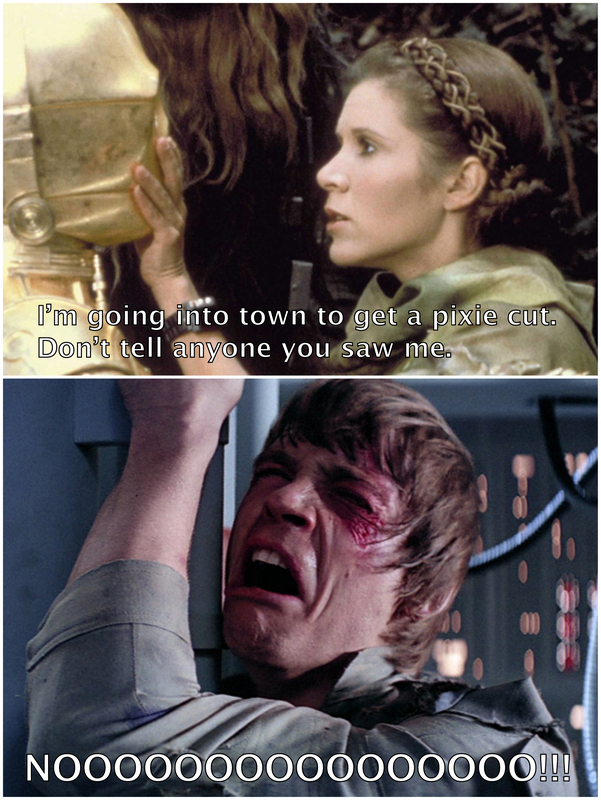 You have the perfect head for that cut! I cut my hair off short for the first time when I was … actually I can’t remember now. 18, I think. I LOVED it. I felt more “me” with short hair. I grew it long again for my wedding (age almost 21) and then cut it off short again 3 days into the honeymoon. My husband told me, years later, that he actually felt as if I had married him under false pretences… I now have it long, blonde and curly – quintessentially feminine – and I like that too, because now I have it cut so it suits me, and I’ve learnt to work the curls to my advantage instead of hating them. Funny thing was that he had long hair when we got married too. When he finally cut it short, about 3 years later, I couldn’t get over how handsome he looked and started to feel a bit intimidated. He loves my long hair now but he SAYS that if I decide to shave it off to support someone with cancer or something that’s absolutely fine. I think having a daughter makes a difference. I have a very girly little girl and she has made me girlier! Whether it is cut or colouring I believe we are meant to have fun with our hair! Why else does it grow back?! 🙂 Do you remember me chopping mine off to the short Hali Berry style 10 years back. Or how about my bright copper orange. Just recently I have started to grow it out and go back to my original blonde…but alas…I am once again getting bored! 😉 I love your hair long and or short! You are very chic Janelle! Thanks, hair is fun!! And of course, you have always been the cool aunt with cool style. Jordan asked if you were the aunt from the story and I was like “heck, no! She wouldn’t have faked it, she would’ve actually just done it!” Hahaha! Not quite as dramatic, but I went from not dying my hair for several years and proclaiming I was going grey gracefully to black-brown a few months ago. I’m still running into people at work who are confused, thinking I was a redhead before. When the ladies in Japan go grey, they… go purple. Or blue. Or green. I haven’t figured out why, but I think it has something to do with the loss of pigment and the base colour of their black dyes. 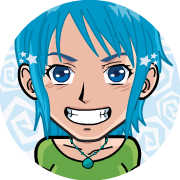 I fully intend to use this as an excuse to dye my hair blue when I start going grey. Now wouldn’t that confuse your coworkers! Yes, I did, 20 years ago. I cut my hair into a bob from long locks following my sister’s first wedding. I hated it. I have fine hair and the cut winged out all over the place. About 3 weeks later, a friend of mine and I went and cut our hair clean off into pixies. I then dyed my head red. My mom was shocked when I came home to that haircut. It was liberating! I had a boyfriend who hated the cut and tried to convince me to grow it out. We broke up (not over the haircut, but…you know it didn’t help). I eventually grew it out. My hair is shoulder-length now.